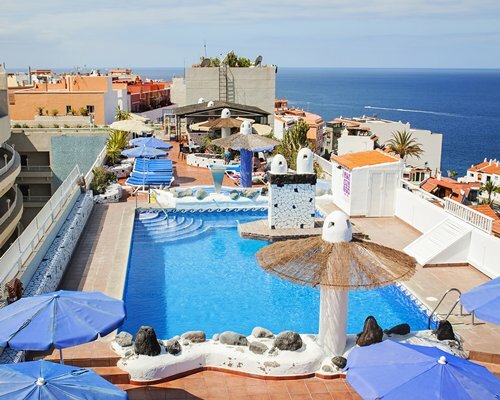 Vigilia Park in Santiago del Teide on Tenerife has some amazing scenery which can be enjoyed from the rooftop swimming pool. 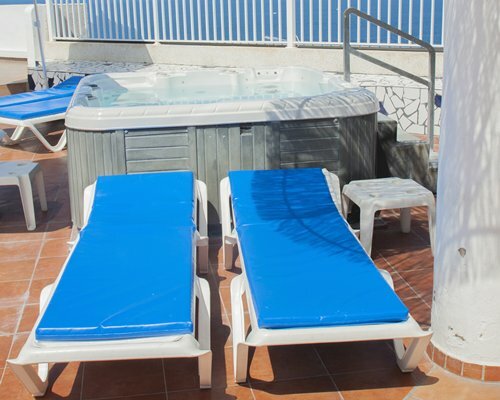 where you can catch up on much needed rest and relaxation. 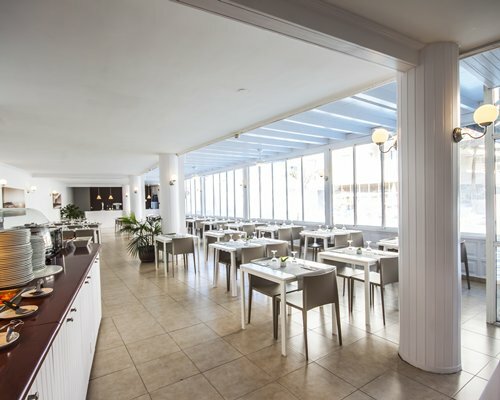 Upon entering the resort, you will find a shopping centre with electronic outlets, a pharmacy, souvenir shops, perfumery, art galleries, and restaurants. 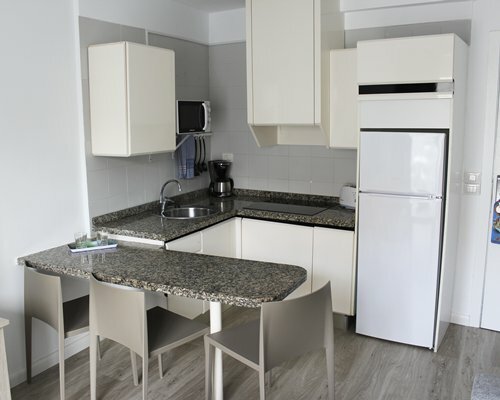 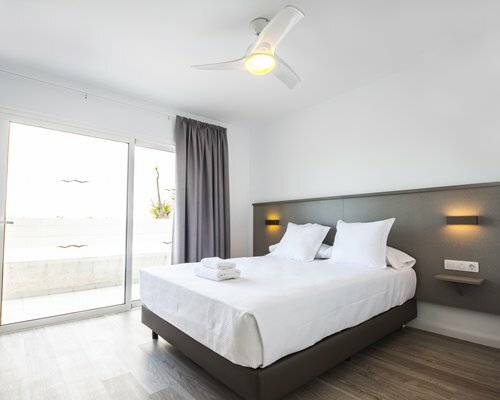 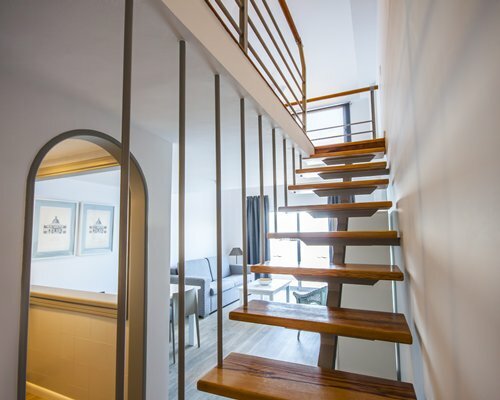 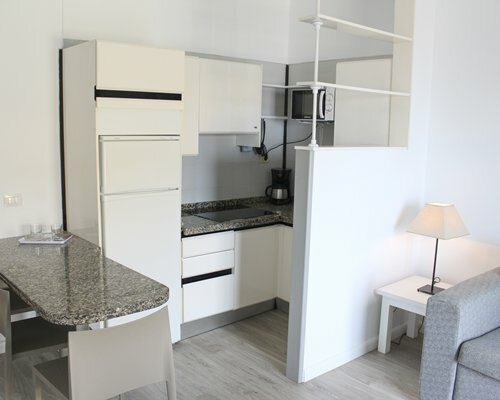 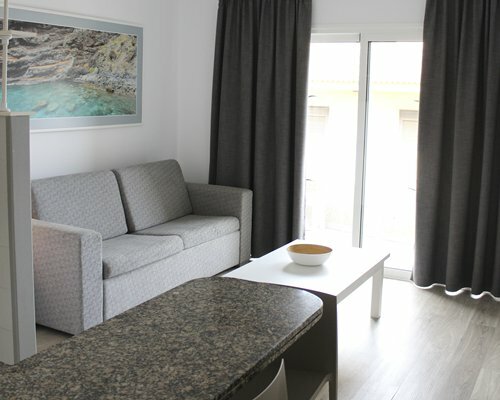 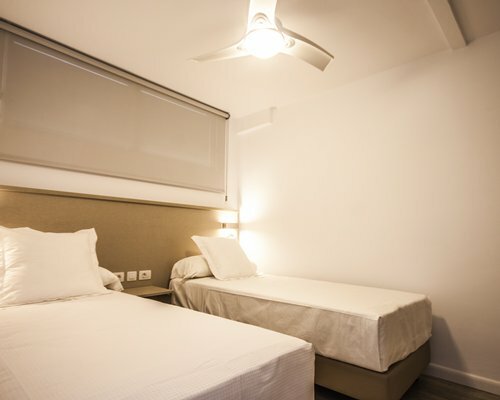 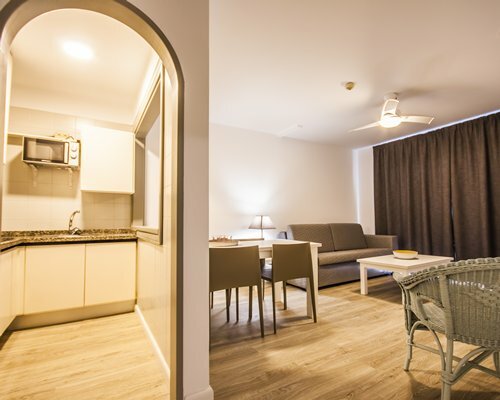 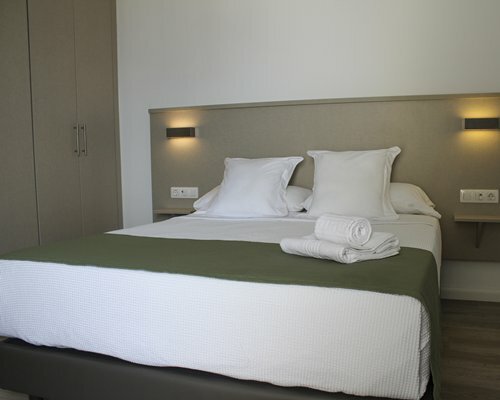 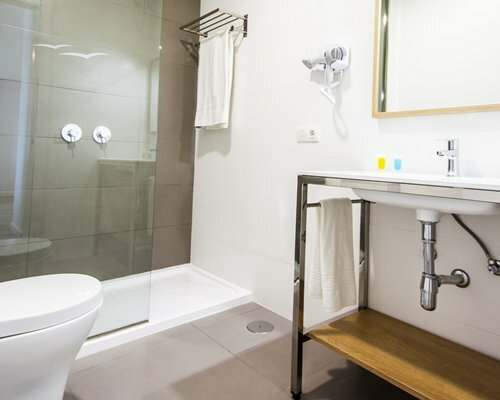 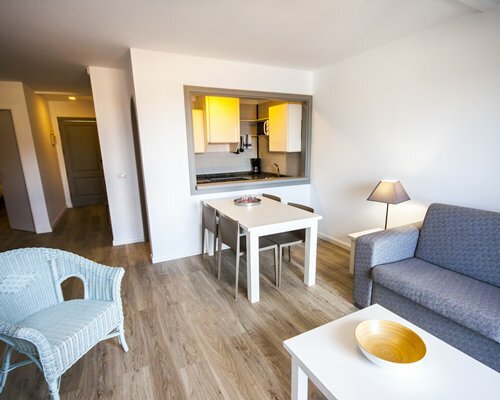 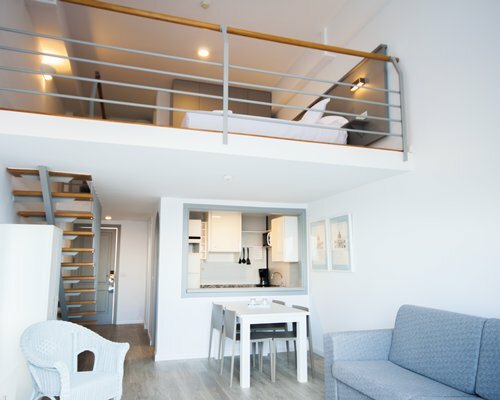 The studio, one-, two- and three-bedroom units all come complete with partial kitchen facilities, satellite TV and balconies or terraces to enjoy the views. 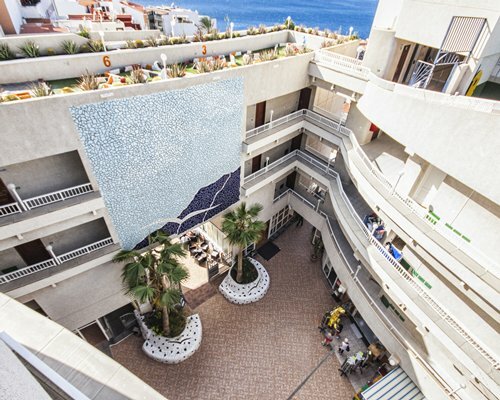 The resort is built on a small shopping center and has a total of 109 apartments. 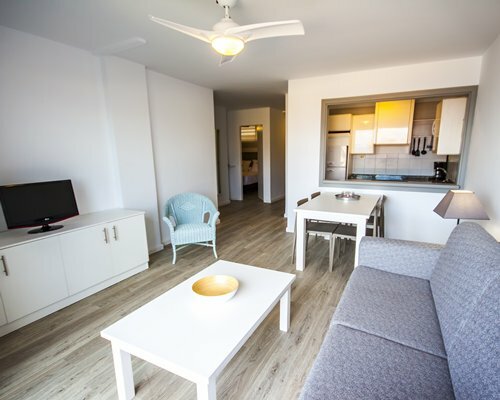 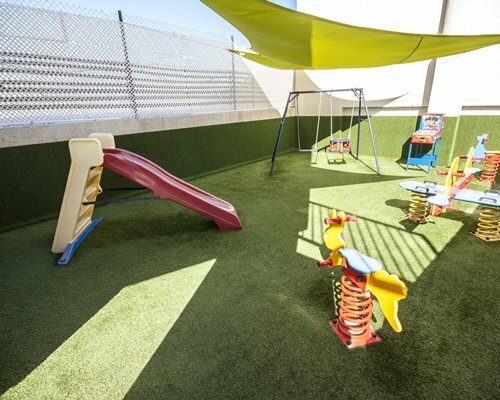 They all have private terraces, fully equipped kitchen (with microwave, toaster, coffee maker, kettle and juice maker), ceiling fans, TV, telephone, safe ($), hairdryer, iron and ironing board . 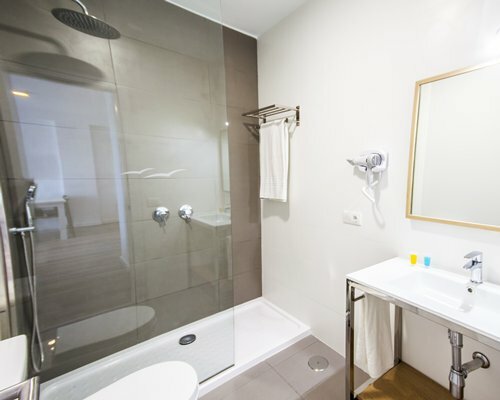 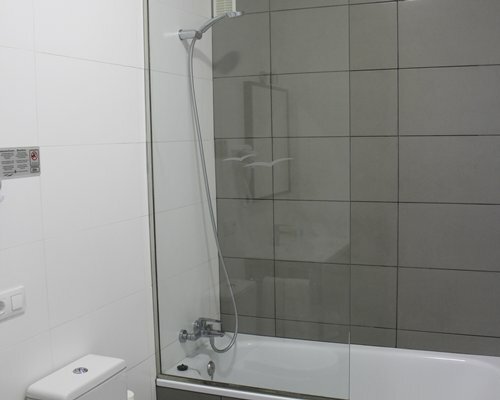 Cots and baby baths (no charge). 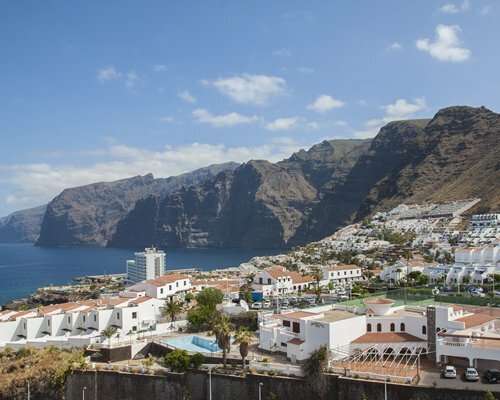 Puerto de Santiago sits in the center of Los Gigantes and Playa de la Arena, but essentially it forms one sprawling resort with Playa de la Arena. 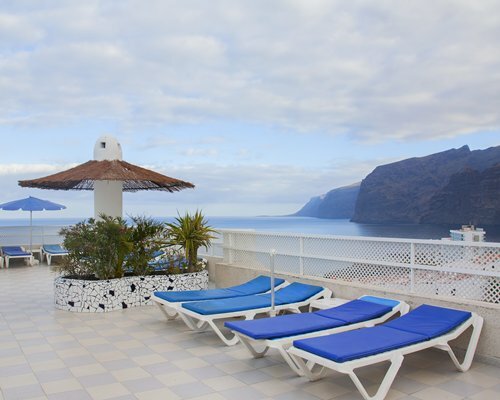 Los Gigantes is one of the top dive sites on Tenerife. 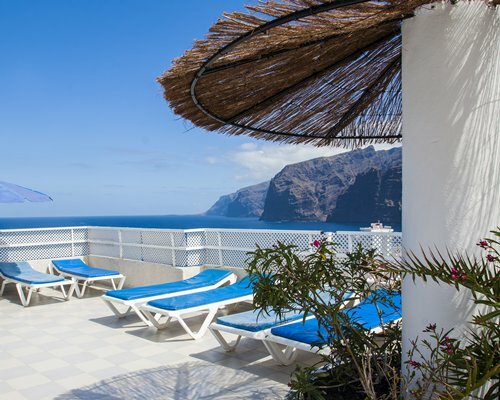 Enjoy fishing trips and pleasure boat rides up towards Masca past the Los Gigantes cliffs. 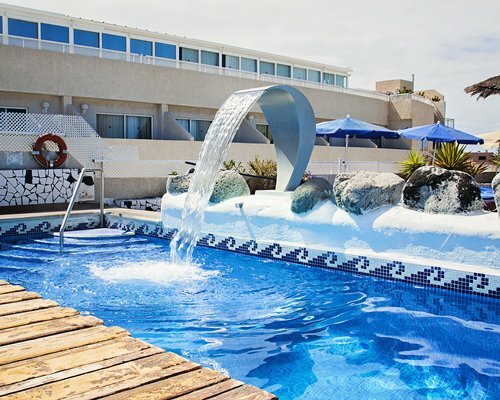 Fun water rides are also to be had from Los Gigantes marina. 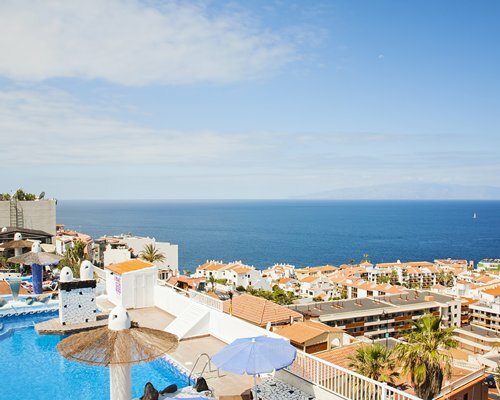 You're also within easy reach of Los Cristianos port for boat trips across to La Gomera via the fast ferry service running several times daily. 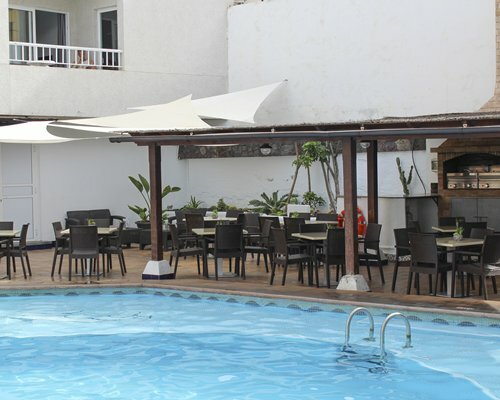 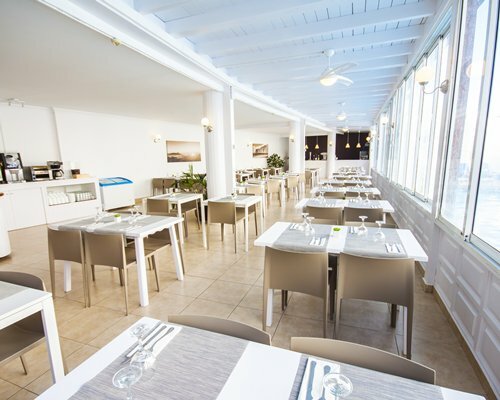 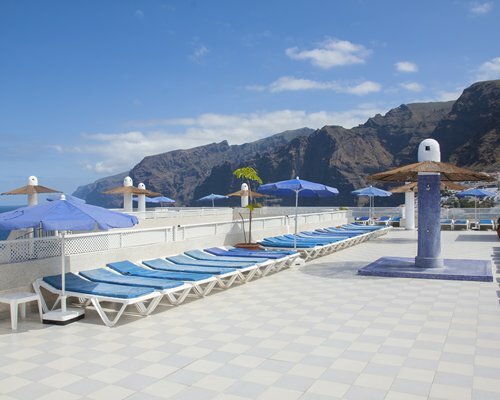 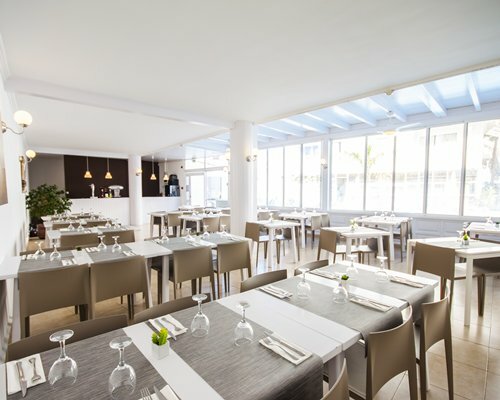 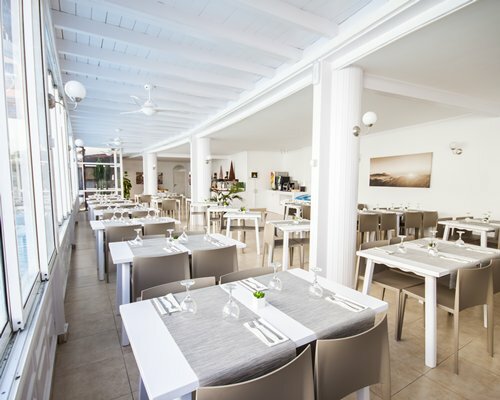 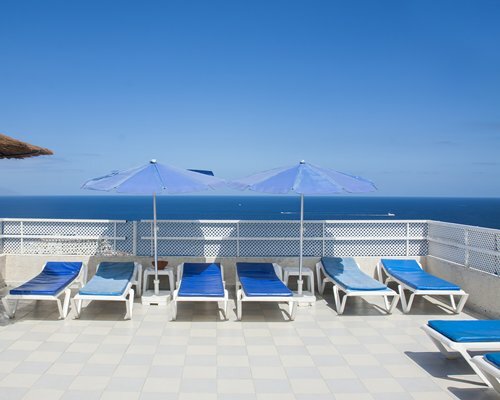 Located here on the western side of Tenerife, as well as the best views of La Gomera across the water on clear days. 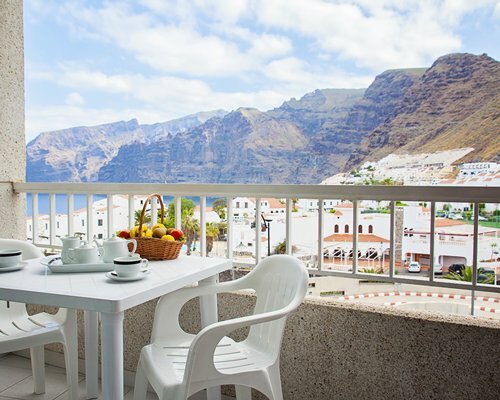 You also have easy access to the spectacular Teno Mountains and top walking territory around Masca. 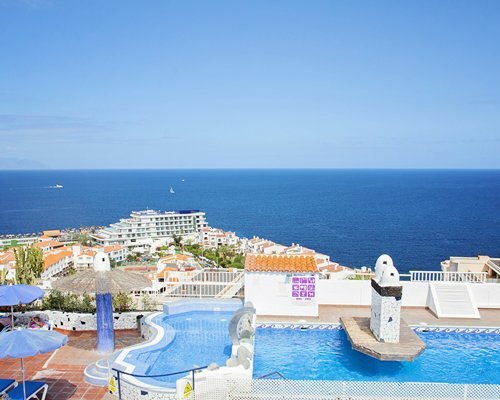 It's easy to hop on a tour bus from your hotel to enjoy this area of Tenerife from Puerto de Santiago.